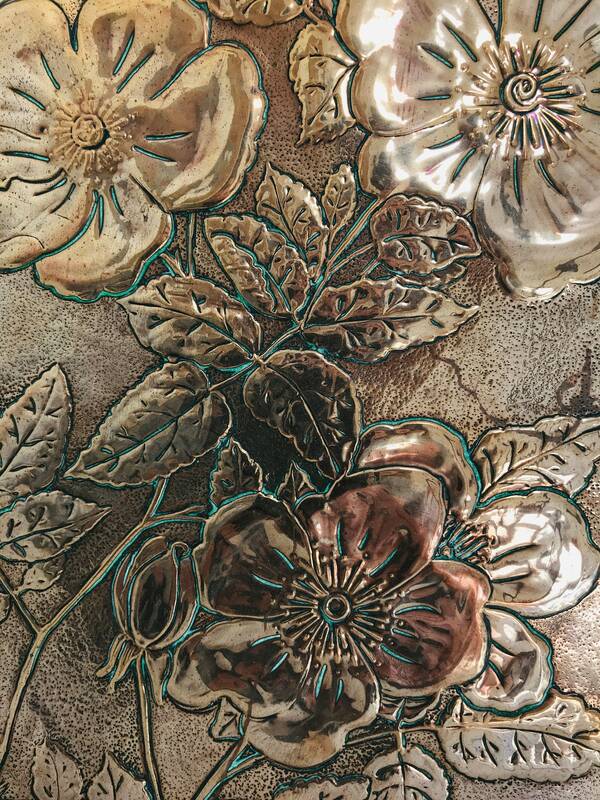 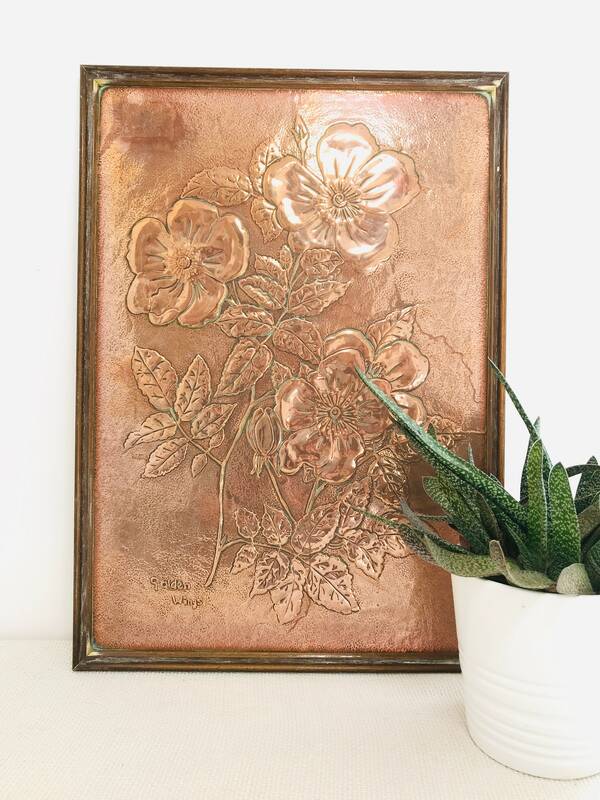 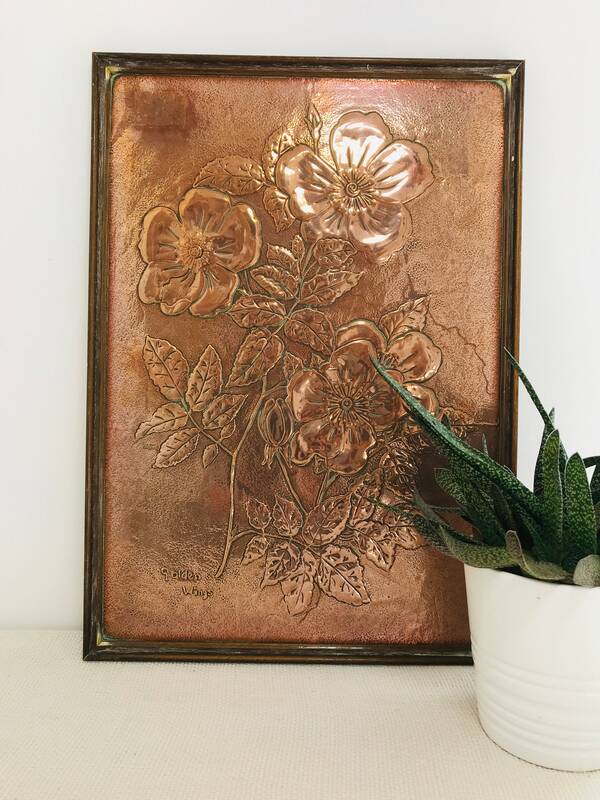 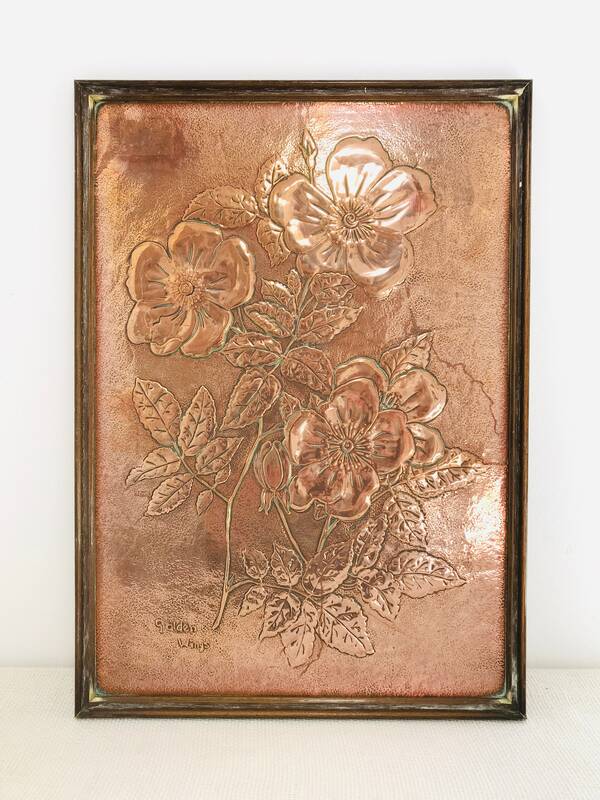 An early 20th-century antique example of copper repousse from the Arts and Crafts movement. 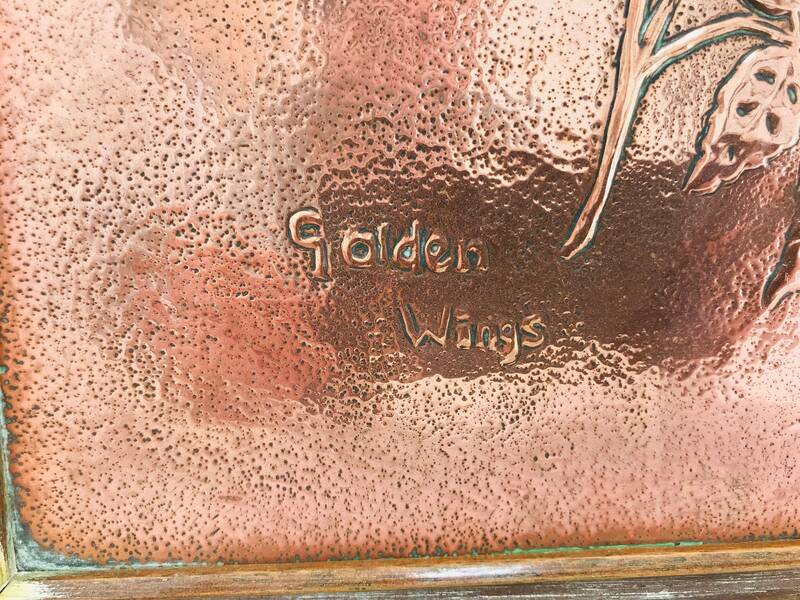 Inscribed Golden Wings and of a floral botanical study. 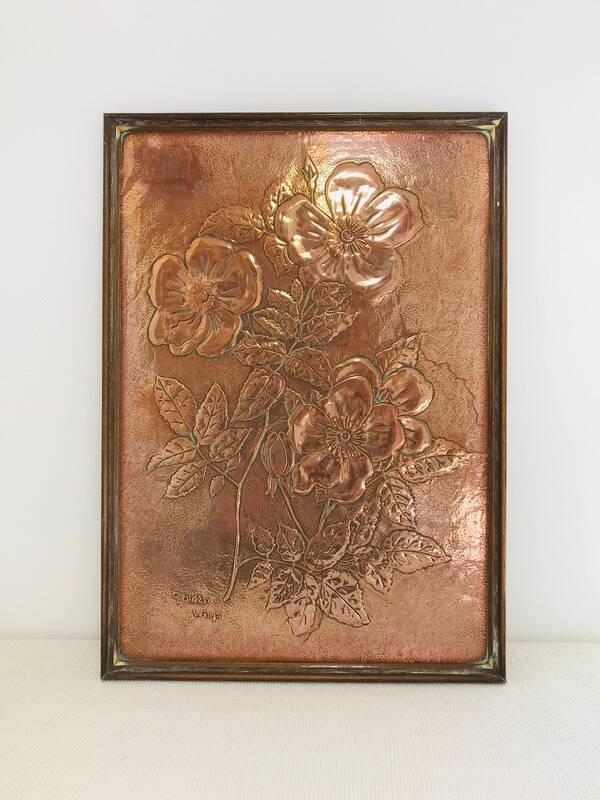 Would make a great interior decorator's accent piece for pubs, restaurants or bars. 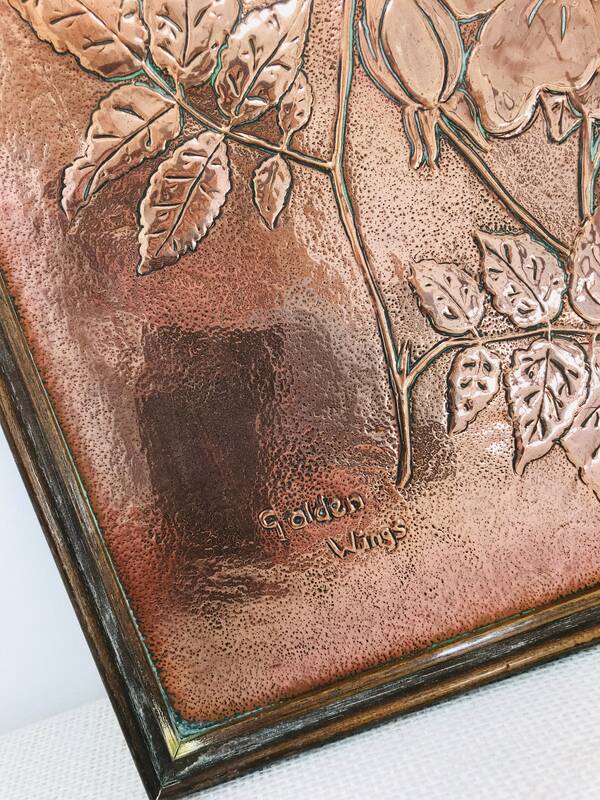 In good condition with charming green verdigris patina in the corners to remind us of it's age. 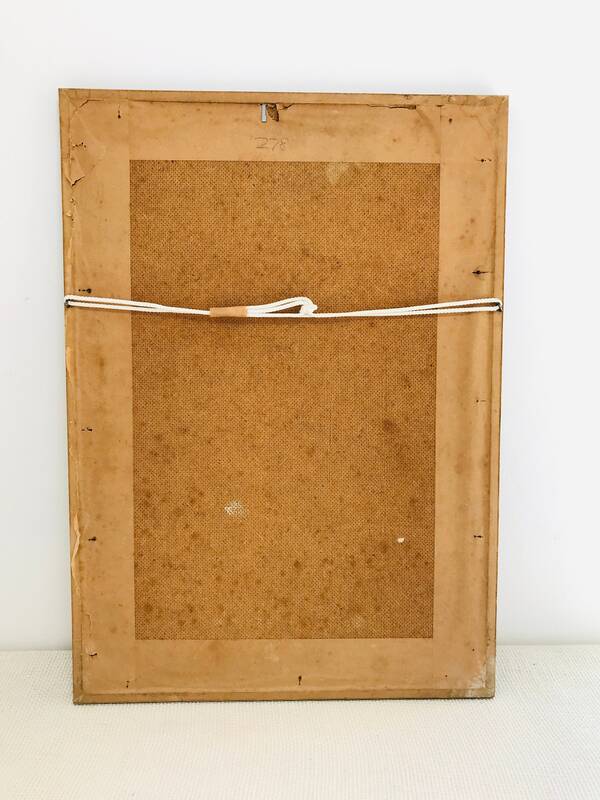 Framed in a slender rimmed vintage oak frame.